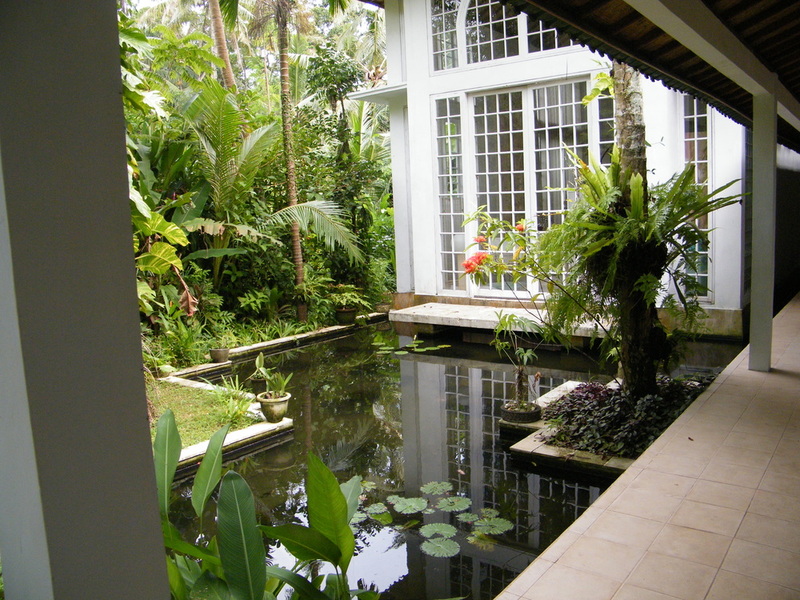 Jiwa Damai is surrounded by beautiful ponds teeming with life. However, due to the ash coming down with the rain from the last volcanic eruption on the neighboring island, our stones in the pond, which are full with algae were covered completely with the ash. The fish feed on these algae and all of a sudden there was no food left. The ash also prevented the algae to receive light and hence they did not grow anymore. We had to search for means how to remove the ash from the stones. A water vacuum machine we bought did not do the trick. The only other way was to empty the pond and clean it out. This was sad, since the pool had developed its own micro climate with its various inhabitants, and we had to destroy this. The stones were also the seat of many micro organisms, especially EM. Having this micro climate surrounding the buildings of Jiwa Damai, prevented mosquito larvae from hatching and both large buildings were nearly mosquito free. A huge job awaited us!